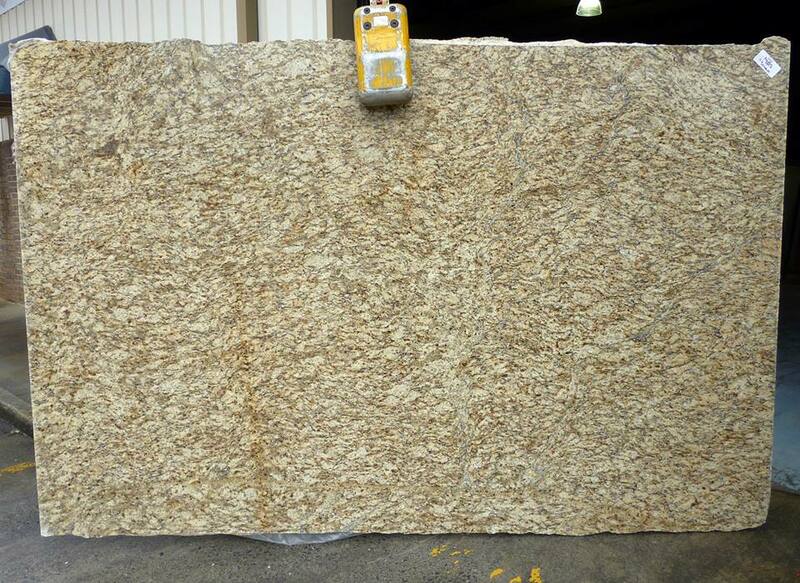 Santa Cecilia granite is quarried in Brazil. It is a beautiful creamy white stone. From afar it looks uniform in color, with no visibly large mineral deposits. When you get close to the stone you can see an array of patterns. It is littered with black and golden brown mineral deposits that are the defining feature of this granite. They can range from a pure black to a lighter black and a golden brown to deep brown. The dark black contrasts against the cream bedrock give the stone a stunningly beautiful effect.You will also find small areas with a deep red mineral. Their appearance complements the other mineral deposits adding a little splash of color. Grey quartz deposits are also scattered in small amounts throughout the stone, ranging from light grey to medium grey. Santa Cecilia granite does vary a little depending upon the lighting conditions of the area. With a large amount of natural light, the creamy bedrock and the golden brown minerals will be more prominent giving the appearance of a lighter stone. When Santa Cecilia countertops are combined with light cabinets they complement the white tones of the cabinets, and the dark black mineral deposits add a little depth to the room. The golden tones warm up the overall effect ensuring a clean, yet inviting appearance. When combined with dark cabinets there is a slight contrast between the creamy granite and the dark cabinets. However the contrast is softened with the golden tones and dark mineral deposits. This color combination can easily be used for either a contemporary or traditional feel to your kitchen area.